Shhh, listen. Do you hear that whooshing, flushing sound? That, my friends, is a restaurant concept that has gone swirling down the proverbial toilet. In business for just over half a year (after a long-delayed opening), Magic Restroom Café—a latrine-themed eatery serving Taiwanese food and dessert, or, as I call it, toileatery—seems have had its final flush during Memorial Day weekend. The doors are locked and repeated attempts at calling the City of Industry based restaurant have only resulted in “no longer in service” messages. 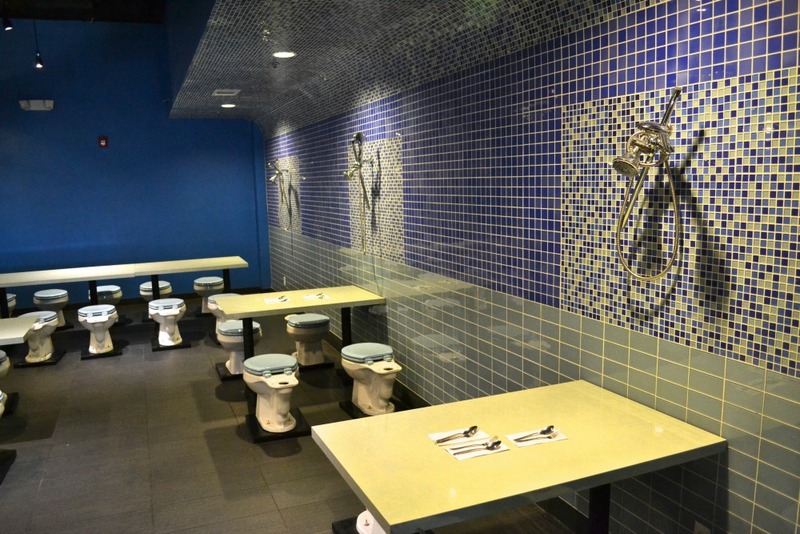 Magic Restroom Cafe was a blatant rip-off of Modern Toilet restaurant, a restroom-themed restaurant chain that started in Taiwan. I actually visited the original Modern Toilet Kaohsiung location back in 2010, but left when I discovered that there was a food purchase minimum and that I couldn’t take photos inside the establishment without purchase. The business lesson here is cash for crappy customer service is smarter than free photo opportunities. Alas, America’s first toilet themed restaurant took a dump. But, hey, there’s always Guy’s American Kitchen & Bar. Magic Restroom Cafe, 18558 Gale Ave., Ste. 222, City of Industry, 626-664-3766. Next articleBeer Festival at Shade Hotel, Burger Week at Oinkster, and More!